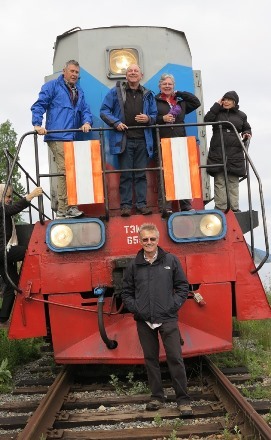 In between Ulan Ude, our first stop in Russia, and Irkutsk, where we would abandon the train for a night, we made a sidetrip on the Circum-Baikal line. It feels like a misnomer, the 160km diversion, turning off the main Trans-Siberian line at Slyudyanka, doesn’t go ‘around’ Lake Baikal at all. It just winds its way along the lakeside to Port Baikal and then reverses direction to return to Slyudyanka and rejoin the main line. Lake Baikal, which stretches an impressive 640km from north to south, is an interesting lake. It’s extraordinarily deep at over 1600metres (and cold and pure to go with it) and as a result contains more than 20% of the world’s unfrozen freshwater. There’s more freshwater in Lake Baikal than in all the North American Great Lakes put together. It also shelters a very delicious fish , the omul, we dined on them in Ulan Ude the previous night. And it’s home to nerpa, the world’s only freshwater seals. Well that surprised me. Lots of rivers flow into Lake Baikal but the only exit is the Angara River and Port Baikal is on the banks of the river. Once upon a time the railway continued past here to Irkutsk, but damming the river in the 1950s submerged the line and the new line was constructed, leaving Port Baikal as a dead end. Until 1904 the train was carried across the lake from Port Baikal to Babushkin (or Mysovaya) on the eastern shore by boat. ◄ Travelling along this little used length of rail the locomotives have walkways around the front and we were allowed to ride there, enjoying the wind in your hair and fine views. ▲ So we left the train at Port Baikal and took a ship, appropriately named Babushkin, across the mouth of the Angara River to Listvyanka. 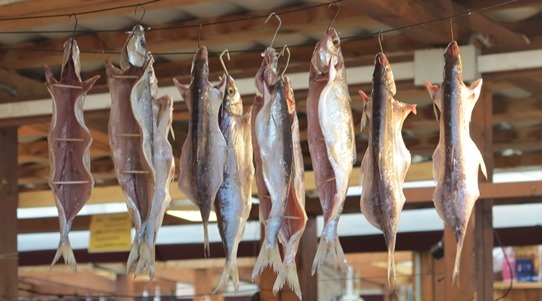 ▲ We checked the dried omul fish in the Listvyanka market. ▲ And took a bus to Taltsy, a collection of old Siberian wooden buildings, collected from villages and towns all over the region. 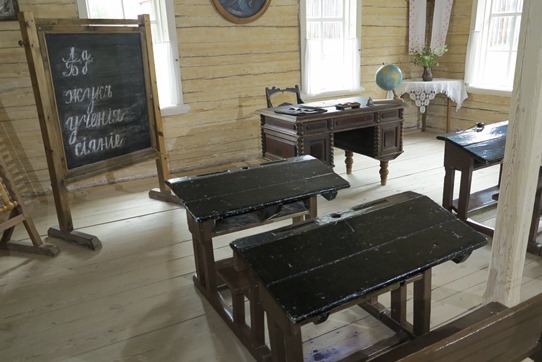 Like this vintage class in a wooden schoolroom. ▲ Back on the train we reversed directions, so Maureen and I went from the very last compartment in the very last carriage to the very first one, and headed back towards Slyudyanka. 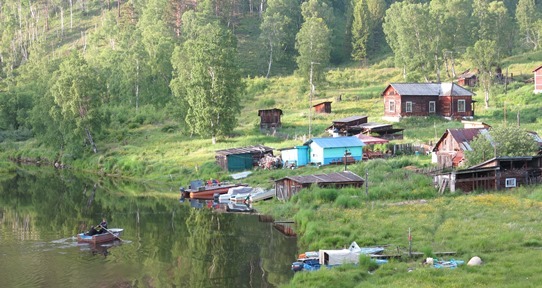 We soon stopped at the prettily situated village of Polovinnaya at km 110 for a picnic and barbecue. And a dip in the lake if you are particularly hardy. I’m not. By the time we departed there had been so much drinking and carousing I was amazed no passengers were left behind, asleep in the long grass beside the line. ▲ Our train at the km 110 stop, with a vintage steam locomotive permanently parked there.